A 22-year-old has pleaded not guilty to the the murder of man stabbed to death in a car park. 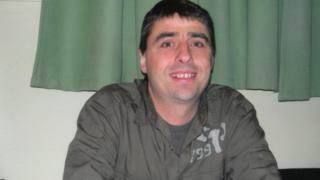 David Hastings, 48, was found wounded in Rose Lane multi-storey on 23 June last year and died in hospital. Rolands Heinbergs, of no fixed address and originally from Latvia, appeared at Norwich Crown Court to deny the charge. He was remanded in custody ahead of his trial on 28 May, which the court heard could last three weeks if Mr Heinbergs represents himself, as he wishes. Judge Stephen Holt told him it was his right but he "strongly advised" him to get legal representation. The case is due back in court in March to review the issue, with Mr Heinbergs expected to appear via video link.